The precisely pentatonic-tuned Profiline tongue drum can be used as a rhythm and melody instrument. Comes with two mallets. In 1988, Boing Klangkoerper developed a special technique for tuning slit drums to a high perfection. The structure of the red-brown Padoukwood effects taht the tuning is very stable . 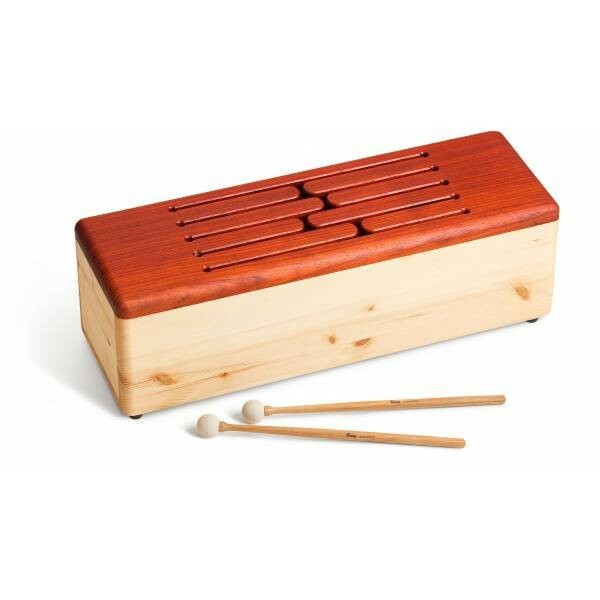 You can play this tongue drum with your hands or with the included mallets. You even can even sit on the drum while playing.